INCRÍVELFUTURO – CENTRO DE INOVAÇÃO TECNOLÓGICO, INVESTIGAÇÃO E PROJETO, SA., was founded in 2012 and is dedicated to engineering activities, providing advice and follow-up of innovation and research projects, with no significant export activity history . 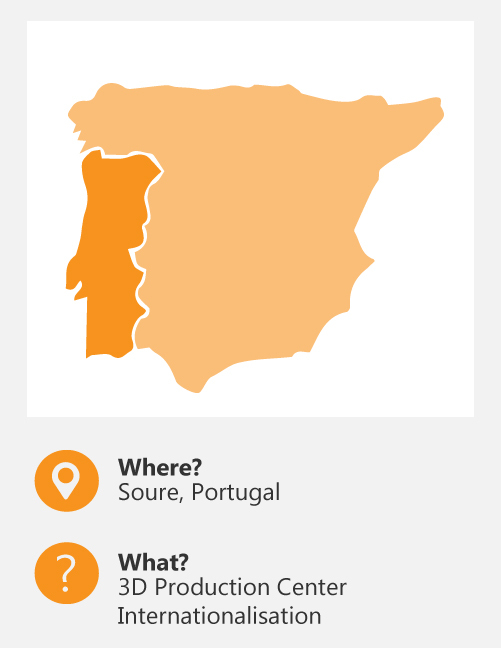 The application aims at the achievement of certain strategic objectives, such as strengthening internal competencies of the company gain market share in Portugal, penetrate international growth markets, create cohesive partnerships with the organizers of the world, to build partnerships with companies production worldwide to reduce costs, create a robust online platform that allows centralizing all customer needs and to be a standard-bearer of value for customers and suppliers. With the internationalization project, the developer intends to sustained growth with the consolidation of its current markets (International market as well as growth in new markets (Germany, Spain, United Arab Emirates, Turkey, USA and Australia). The organization plans to . diversification, ie seek consolidation in existing markets by extending its product portfolio to offer customers, although the application reveals diversification the types of actions foreseen in the project are the following: - Participation in international fairs: in order to attract more customers in international markets such as IDS (Germany) 3D PRINT SHOW (Spain) and International Fair of Colombia (Colombia), among others; - exploration of Shares to clients: in order to capture and retain new customers in the target markets ( United Arab Emirates, Australia and Turkey), - specialized technical Hiring: to ensure the international marketing of the company in order to catch up with the target markets; - International marketing: designing new packaging and catalogs in order to gain international notoriety. With the internationalization project the company is a International Business Volume zero (0% of total turnover) in the pre-project for a Volume of International Business of approximately € 2.6 million (69% of total turnover).